With a distinctly different feel than most Las Vegas Hotels, Nobu’s Japanese-inspired decor will make you feel like you’re miles away. 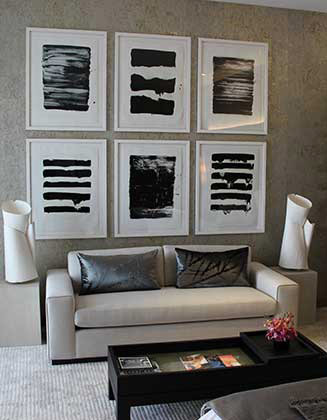 The bespoke artwork throughout the 4,500-square-foot Presidential Suite is all handmade. A gold-brushed sculpture of 300 hand-cut metal leaves creates a hanging dome on the wall. 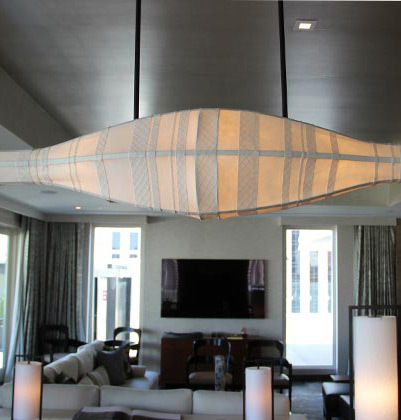 To illuminate the space, our artist created a large suspended light fixture from wax paper entirely by hand. 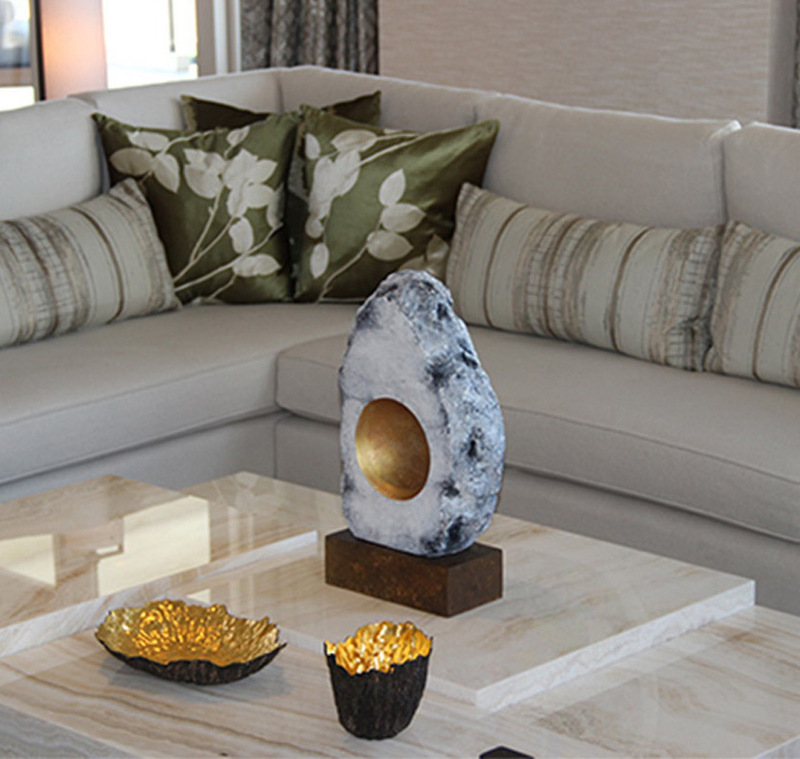 As the finishing touch, the gold-plated room accessories lend a Zen feel to this elite suite.